Learn more about the My School Year Homeschool Record Keeping release that occurred on November 14, 2018. What is it? 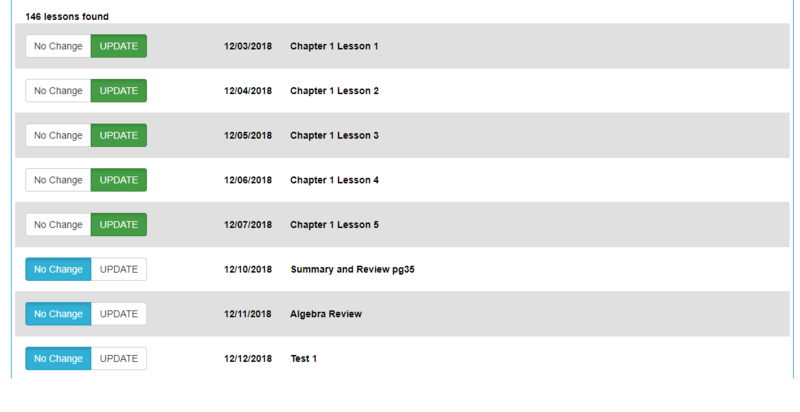 The Lesson Plan list page now has a “bulk update” tool that allows you to search and update multiple lessons at one time. Click on the Tools button located within the Mode toolbar. Then click the Bulk Update option. You may optionally enter search criteria for lessons (as shown). Finally, click Preview to see which lessons will be affected. You can mark lessons to UPDATE or No Change. Finally, you can select one or more options to update across all selected lesson plans. Clicking the update button will apply those changes to the selected lessons. A final confirmation screen is presented to ensure the lessons should be updated. What is this for? At times, lesson plans may need to be tweaked, “reset” or just updated en masse. 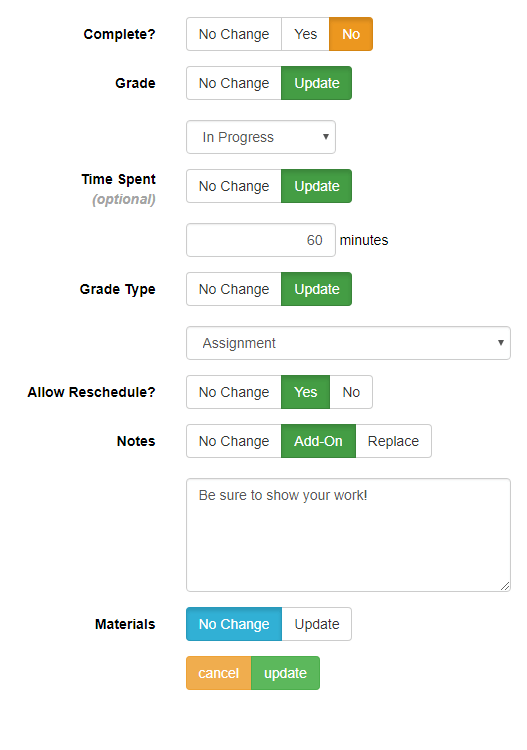 This tool allows you to update one or more lessons in bulk to save valuable time.